We can meet all your photo-copying requirements with a wide selection of paper styles and colors. Plain, glossy, or matte we can provide you with the high speed copying you need. Our machines can automatically insert divider tabs, color sheets, and collate & staple, eliminating the need for slow manual production. Pegasus uses state of the art technology for Black & White and Color scanning, copying, or printing documents and graphics”. Our Canon ImageRUNNER 7095 prints at speeds up to 105 pages per minute at 600 DPI. Wide format Ricoh 5100 and Canon ImagePROGRAF machines print up to 36” wide by almost any length. Our Canon color ImagePRESS C700 prints 2400 DPI in sizes up to 13×19″. We can output sets, package, deliver, and ship to anywhere in the continental United States. We can accept any size file in most standard formats from CD’s, Flash Drives, e-mail, or our secure FTP (File Transfer Protocol) site. In addition to black and white printing, we can produce single and double-sided black & white copies. Our state-of-the-art high-speed copiers and digital printers get the job done quickly and our pricing is always competitive. 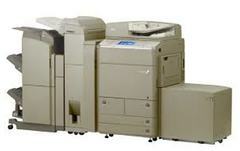 We offer beautiful color copying and a wide range of copy related services.